It all starts with Quaid’s character getting angry because an inbound passenger plane scatters his herd, so he gallops to the airport to complain that they should bring the planes in “from the east, over the casinos.” This reminded me of when I worked at the Desert Inn pool as a kid and tourists would ask, “Does the sun set over there every day?” Note to show’s producers: McCarran is east of the Strip, therefore, east of the casinos that existed in 1960. The subsequent fistfight with the oddly thuggish airport personnel was probably meant to emphasize Lamb’s two-fisted personality, but it came across like bad backyard antics on Youtube. Remember, this was all before the first commercial break. The historical gaffes continued: no one would have said “interstate” in 1960, they would have called it the LA Highway, Highway 91, or just 91; why is the city mayor involved in selecting who will investigate a murder victim found in the county? why are the road signs for the Stardust and Sahara on the same side of the strip? why does the Fremont Street sidewalk make the Golden Nugget look like it’s in a strip mall? why are there vehicles made after 1960 on the road? Las Vegas has to be one of the most filmed and photographed cities in the world, so I also wonder why no effort was made to utilize actual film, video, and photos in the story-telling. This is network television, not premium cable like HBO or Showtime. Therefore, the people in charge apparently decided they needed to hook the viewer with a mystery before the first commercial — brutal murder (in the county) that (according to the city’s mayor) must be investigated by maverick rancher (and future sheriff) with the usual suspects (including the rodeo-riding, broken-hearted boyfriend of the victim and a biker gang that seems to have time-warped back from “Sons of Anarchy”), which ultimately leads to a perverse casino exec who attempts to flee in a small plane. When character and context development is done, or attempted, expository dialogue is the device, saving time, I guess, for the on-screen glowers of Quaid, the pro forma Mob violence of Chiklis, and the showdown scenes between them. Quaid appears to think his glower means he’s “cowboy tough,” but he looks more like a retiree who just discovered that the buffet has run out of vanilla pudding (which is almost comical when he’s carrying a shotgun). Chiklis’s character has been sent by “the boys” to straighten out the badly run Savoy Casino and, unfortunately, he comes across more like Gordon Ramsay forced to manage a Golden Corral. James Russo, the casino exec whose new boss is Chiklis, just looks lost. Maybe more will be done with his character as the characters are developed. If they are developed. The same can be said for Carrie-Anne Moss, assistant district attorney, whose primary purpose seems to be providing a potential romantic interest for Quaid and sarcastically pointing out the apparent corruption of the mayor and district attorney. When I stopped gnawing and switched off the program, Quaid’s character was stalking down a freshly paved runway, six-gun in hand, apparently determined to have a showdown with a Cessna piloted by the perverse casino exec. The real shame is that Ralph Lamb came from a very interesting (and large) Nevada family and had a very interesting life. 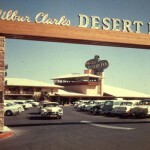 See this link from a Review/Journal series noting Las Vegas’s 100th anniversary: http://www.lvrj.com/1st100/part3/lamb.html. So did his brothers, Floyd and Darwin. 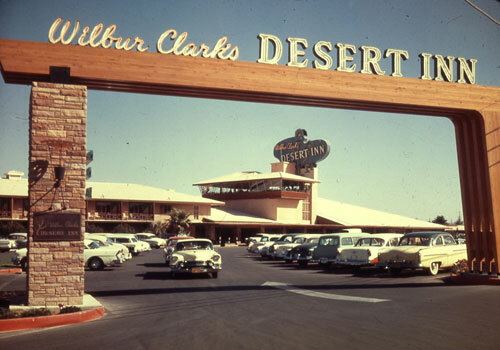 Lamb and the department did have memorable showdowns with biker gangs, he was willing to “throw down” when the situation demanded it, he did have a “unique” relationship with the gamblers who ran things (publicly and behind the scenes), and that era was a remarkable time in Las Vegas. Perhaps, with all the on-screen talent involved, there might still be hope for “Vegas.” But its pilot earned it a C- grade. And that’s being generous. Score this show, so far, as a major missed opportunity. Episode #2 is on the DVR, but after reading its breakdown (another crime of the week) it may stay there until it gets automatically deleted.